In this one hour restorative yoga class for deep renewal we will take the time to gently repair your worn-out, overwhelmed, anxious and run-down body and stressed out minds. 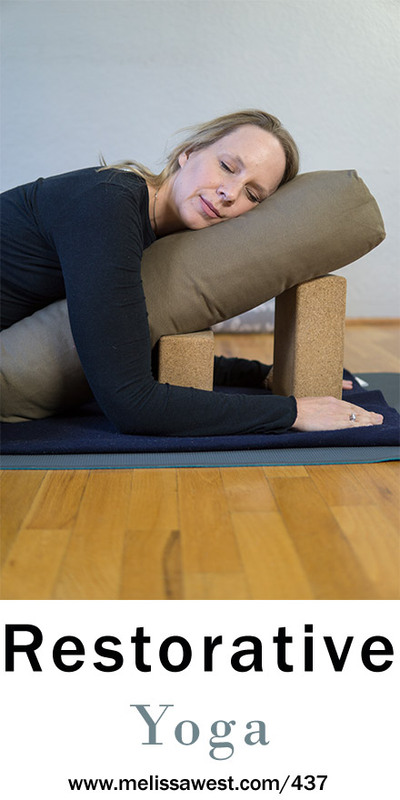 Using props such as blankets, blocks and bolsters we will support your body in gentle, long held restorative postures that are deeply calming to help release tension and renew your energy when you are experiencing depletion. We live in a time of overwhelm, information overload, urgency and the struggle to have it all and do it all. The result is exhaustion, anxiety, insomnia and a lack of rest. Allow this restorative yoga class to offer you a space of deep relaxation and peace from the pressures and demands of your fast-paced life. An interlude of healing leisure and stillness to support you in regenerative healing and therapeutic rest. If you would like to continue with the deep renewal then enter your email address below for 7 days of the best self care the ultimate guide to taking a wellness yoga staycation retreat right from your home. Thank you squeezed for my yoga clothing, Cornelia, Donna and Laraine for your donations.